Alaska’s Eric Strabel is a three-time Mount Marathon champion and the current record holder. This year, he’ll be racing against one of the best fields ever assembled for this 100-year-old race. In the following interview, Eric talks about how long he’s been racing the Mount Marathon, what his athletic background is, why he’s content to race in Alaska, how he’d describe the course, and how he came to set the course record. Check out our in-depth Mount Marathon preview to see who else is racing. iRunFar: Maui Pagliacci of iRunFar here in the previews of the 2015 Mount Marathon with Eric Strabel. How are you, Eric? Eric Strabel: Doing well. Doing well. How are you, Mauri? iRunFar: Thank you. You’ve had a few great years the last four years. How do you feel coming back with this great line-up this year? Strabel: This is a dream come true to have Rickey [Gates] back and Kilian [Jornet] coming and all the guys from Alaska stepping things up again. It’s just an amazing, amazing field we have on the men’s side as well as on the women’s side, too. It will be a fantastic show. I can’t wait to watch that. 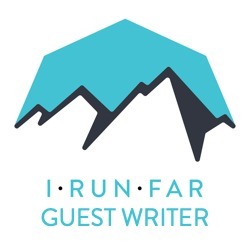 iRunFar: As an Alaskan… you were born and raised here in Alaska? Strabel: I was born on the East Coast of the U.S. My family was military and we moved up here when I was about one year old. iRunFar: Yeah, so pretty much. Strabel: My whole life has been here in Alaska. iRunFar: How do you feel about having all these people here? Getting this iconic race to show to the rest of the world? Strabel: This is phenomenal, just having Kilian here has brought up a lot of publicity for the race. It was bound to happen eventually. We know we have something super special here. It was just a matter of time before people found out. Rickey coming, he’s done a lot for that. He’s been spreading the word a lot and convinced Kilian to come and Emelie [Forsberg], too. It’s going to be a really, really exciting time tomorrow. iRunFar: Can you tell us about your background not only in trail running but in sports in general? Strabel: Sure. I started doing this race when I was 11 years old. I was doing runs and my family is a big cross-country ski family. I ski raced when I was young both competitively in the NCAA and the U.S. national level. I went to World Junior Championships in cross-country skiing and got a top 10 there. It was good. I always had dreams of going to the Olympics, and I was kind of on track for going there. In my early twenties, I just fell through the cracks in our development system, so I just kind of stagnated and lost hope and quit skiing. I never gave up on running. It’s so easy to enjoy mountain running here in our back yards. After a couple of years being down on my athletic career and skiing, I just kind of got the competitive juices again for mountain running. I got more and more serious about six years ago. Every year after that, I’ve just been getting better and better. iRunFar: Do you have, now that you’re more into mountain running, do you have a goal for around the world or for a big race in the States or in Europe? Strabel: Perhaps. It’s interesting. It’s not the only thing I have in my life. A mountain run the following weekend 20 miles from my house is just as rewarding as traveling across the world minus the traveling across the world part. It would be wonderful to travel around the world of course. A far as dreams of competing at the World Mountain Running Championships–it would be nice, but we have Mount Marathon here and the other races here. iRunFar: Just a 100-year-old race. Strabel: Exactly. I think that’s why you don’t see many of the Alaskan runners go outside. There are a few, but we feel that we have everything we need here. iRunFar: You have a long experience in this race, what’s your favorite… can you give us a brief description of the course and what’s your favorite part of it? Strabel: It’s a very gradual 1k run up to the base of the mountain. Immediately it goes very steep. It’s steep for about one mile and you gain about 2,800 feet in that one mile. You turn right around and come straight down about exactly one mile and you’ll lose 2,800 feet. Then when you get to the base there, you have just over another 1k run to the finish. It’s a bit abrupt changing from the gradual run to the steep hike to the steep down to the gradual run again. Changing gears is really, really tricky and it’s difficult. Having to adjust is my least favorite part. It’s so, so painful. Of course we’re very, very tired, but it just feels like you get kicked in the guts every time something like that happens. My favorite part is, no matter where on the course, when I feel things are flowing well—I feel light climbing, I feel like I’m navigating the downhill unconsciously and everything is flowing very well and I don’t have to think about where my feet are going or how hard it is… you just kind of let your eyes roll back in your head and just go. iRunFar: You broke the record at this race a couple of years ago. What was more rewarding—winning the race, having the record, the sprint with Rickey, or what? Strabel: It’s hard to divide those. I think it was the record. I can’t deny that. Growing up, when I was 11 years old, I read the pamphlet. Gosh, this guy ran this course in 43:23. It’s just so mind blowing that that record was possible. Every year, no one really came close to it. It was just such a dream that someone could get it. The last few years, it became a reality that yes, we could actually do it. In the months leading up to that year’s race, myself and other runners like Matt Novakovich, we were training and we had that belief. Then Rickey came also. That was the spark that lit the kindling and really got the momentum going. It was going to happen no matter what. It was really, really exciting. If it wasn’t for anyone of those guys, then it wouldn’t have happen. It was the team effort that really pushed our times down that far. iRunFar: One last question: with this line-up, do you think this could happen again? Strabel: Absolutely. Absolutely. I know I can beat my PR. I’m in better shape than I was two years ago. I know I can run faster. I know that I can very easily not win. Maybe I’m not the favorite. It’s going to be very, very exciting. iRunFar: Thank you very much for your time. Have a great Saturday. Strabel: Thank you very much.